Portrait of Iain Sinclair. Photo: Anna Sinclair, 2009. NRFTA (Northern Region Film and Television Archive) was founded in 1998 to collect, preserve and make available film and video relating to the life of the North East region. The residency provided access for the artist to creatively interpret and re-use material from the archive. 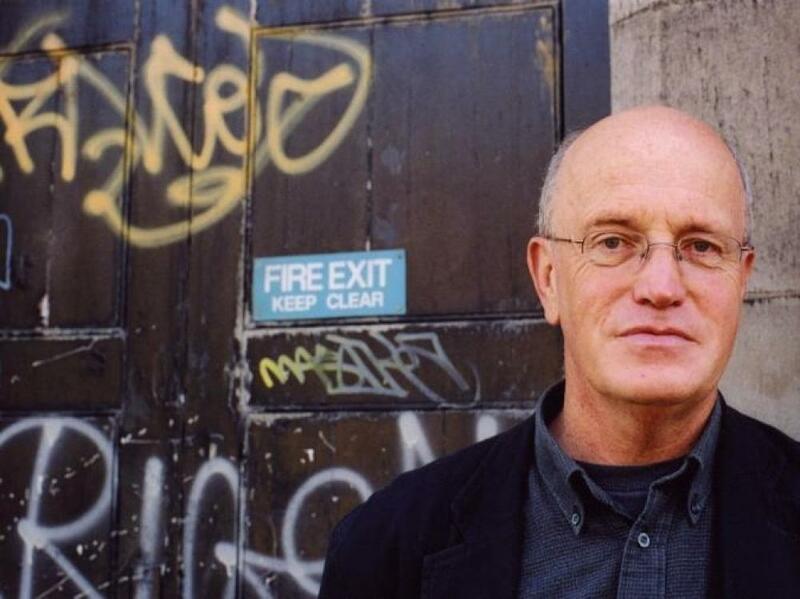 Iain Sinclair was appointed artist in residence, and from October 2009 accessed material from the archive, working towards presentation as part of our closing night performance English Journey Revisited. Iain Sinclair is a London-based writer and filmmaker. His novel Downriver (1991) won the James Tait Memorial Prize and the 1992 Encore Award. His work has often been associated with psychogeography, such as London Orbital (2002) that describes his trips tracing the M25 on foot. This was followed with Edge of the Orison, a reconstruction of the poet John Clare’s walk from a private lunatic asylum to his home. He has also collaborated with other artists and filmmakers, in particular with Chris Petit on The Falconer (1997) and with Andrew Kotting on Swandown (2012). He was elected a Fellow of the Royal Society of Literature in 2009.